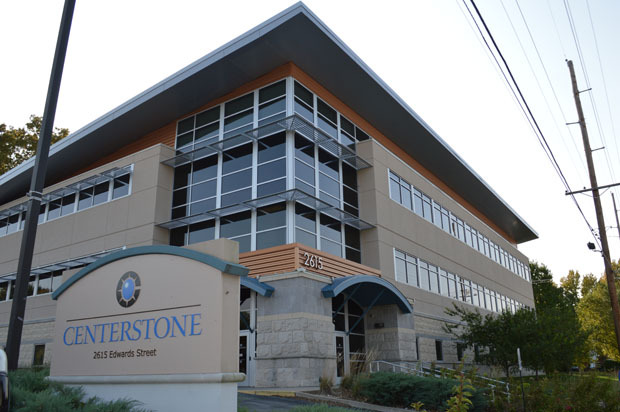 In our beautiful Centerstone Alton community mental health center, we offer a full suite of outpatient mental health and addictions services to the community – including mental health counseling, addictions counseling, and physician services, both psychiatry and physical health services. Our services include a pharmacy, a peer-run drop-in center for persons with serious mental illness and a peer-run cafeteria that serves breakfast and lunch. This clinic is able to provide a level of care that is right for each person. We tailor treatment to each person’s preferences and personal life goals. Our Alton team includes primary care physicians, psychiatrists, nurse practitioners, nurses, counselors, case managers, health coaches, and peer support specialists. We offer all specialties under one umbrella so your care is convenient and well planned. We know that counseling, health coaching, peer support, and medication therapy are important supports to helping people with brain disorders succeed in life. We treat depression, anxiety, attention deficit, comprehensive disorders and stress. We specialize in bipolar and schizophrenic disorders. We offer co-occurring trauma and addictions care. We also provide medication assisted treatment for persons with opiate disorders. Our onsite FQHC partner proving primary care services is the Southern Illinois Healthcare Foundation.